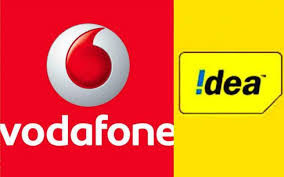 Idea Cellular Ltd and Vodafone India announced a merger on March 20 to form the largest telecommunication company in India. 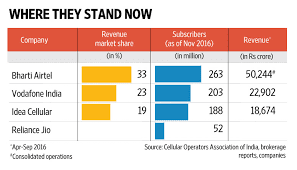 The behemoth will come as the latest company to enter the telecommunication sector after Jio, which is fast increasing its subscriber base. The entity, after the merger, will not only have 43 per cent revenue but also have more than 25 per cent of allocated spectrum. The merged company would have collective revenues of more than Rs 80,000 crore and help Vodafone in de-consolidating Vodafone India. The behemoth will come as the latest company to enter the telecommunication sector after Jio, which is fast increasing its subscriber base. After their merger, the firms announced Kumar Mangalam Birla as the chairperson of the new telecom entity. The Bombay Stock Exchange was also informed that Vodafone Group and Idea Cellular have agreed to combine their operations in India. Meanwhile, largest mobile provider, Bharti Airtel, told the stock exchanges recently that it was all set to take over Norwegian telecom firm, Telenor.